Every holiday season when you get out the decorations, there always seems to be a period of organization where you need to untangle lights, sort out the broken ornaments and just get all of the trimmings in order. Next year, skip the hassle of sifting through everything. 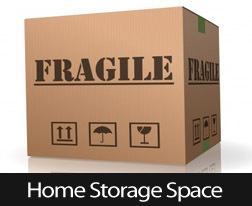 The year-to-year holiday storage strategies below will help make next December’s decorating easy. Utilize a space that is always vacant — the ceiling of your closet. Attach two strings of wire from the front wall above your closet door to the back wall. Make them parallel to each other and about two feet apart. Then you can slide your wrapping paper tubes across the two wires. No more crinkled or torn paper! The hassle of untangling holiday lights every year can become a dreaded tradition. A smart solution is to invest in inexpensive gallon-sized sealable bags. Label what each bag’s lights are for, such as the tree, mantel or outdoors. Wrap individual strands around your arm and them place them inside the appropriate bag. Put all bags in one holiday storage container. After you’ve ripped off the wrapping and gotten to the goods, don’t just throw your pretty paper out. Reuse it! Run it through the shredder to create fun filling for the boxes that hold your ornaments and breakable decorations. Instead of writing straight onto the holiday storage bins, tape or glue festive envelopes to the side. Then you can write a list of everything in that box and put it in the envelope. For those who like everything clean and organized, this means that if you switch out anything in the box, you don’t have to mark it out on the side — just change the paper inside the envelope. Receiving holiday cards is a great way to keep in touch with distant family and friends. Instead of throwing the cards away each January, use a hole punch to create two holes in the sides of the card. Then insert jump rings to make little picture memory books that you can display on the coffee table every year. For more around the home tips or if you are looking to buy a home with plenty of storage space, contact your trusted real estate professional.